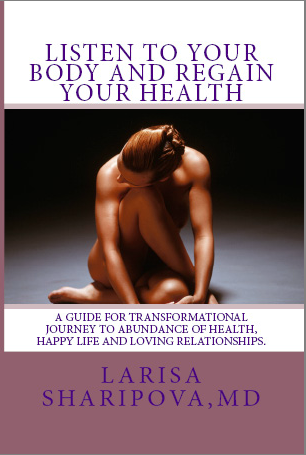 Larisa Sharipova, a medical doctor, holistic health coach, speaker and author of forthcoming book "Listen to Your Body and Regain Your Health", a guide for transformational journey to abundance of health, happy life and loving relationships joins eHealth Radio and the Female Health, General Health and Personal Development Channels. Why are you passionate about women's health? You mentioned Primary and Secondary food. Can you explain what those are? Why did you decide to write a book for women? Who are your readers and why should they read your book? What is your goal beyond the book you have written? Larisa Sharipova graduated from medical school in Europe in 1993. 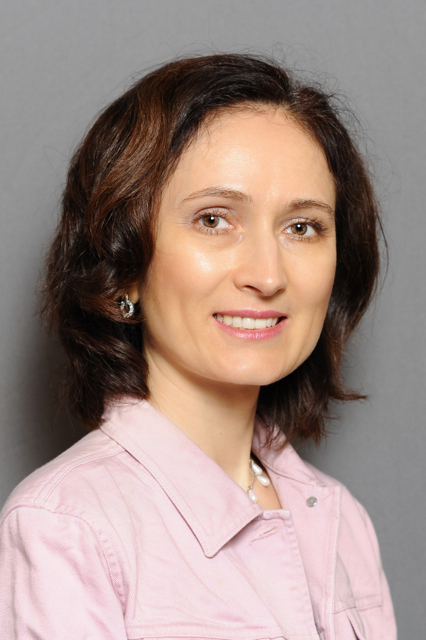 Dr. Sharipova had practiced as OBGYN specializing in adolescent gynecology and infertility and used alternative approaches to treat many hormonal disorders. After moving to the United States and learning about American Medical System, Larisa decided to take a different path in helping women. In 2012 Larisa Sharipova completed professional training program in The Institute for Integrative Nutrition where she was trained in more than one hundred dietary theories and studied a variety of practical lifestyle coaching methods. As a Certified Holistic Health Practitioner and the founder of Holistic Expert, she is very passionate to work with open-minded business women who try to juggle their families and careers by sacrificing their own health and happiness and who is ready to transform their lives to get abundance of health, passionate relationships and reach their full potentials. She specializes in hormone balancing, de-stress, anti-aging, detox and offers privet or group health and lifestyle coaching to women, lead workshops, retreats and cooking classes. Sharipova is a professional member of American Drugless Practitioners Association and International Health Coaching Federation. Discover how to upgrade you life with better health and happier relationships at www.holisticexpert.org.